This is the second early excerpt from my book on the spiritual aspects of writing. It’s a little rough, but it’s coming along. I cannot think of any trait more important to an artist than self-awareness. But what is self-awareness and how do you know if you have it? First off, I don’t define self-awareness as the ability to recognize yourself as separate from other people, a distinct entity and consciousness with your own wants and desires. Most folks define it that way. Wikipedia cites the “mirror test” as an indicator of self-awareness. A person looks in the mirror and says, “yup, that’s me.” That’s limited at best. In the book Strategy: A History, Lawrence Freedman writes that Jane Goodall saw gorillas as self-aware because they used deception and tactics, formed alliances and figured out how to maximize their own personal benefit, while working with other apes in their social network. If we accept the popular understanding of the concept then we can describe those apes as self-aware. But I don’t see them that way. It’s not that they aren’t smart or can’t recognize themselves in a mirror, but being smart is not self-awareness. You can be incredibly clever and not understand the most basic question of self: why? Why do you do the things you do? And can you change them? Why do others do what they do? Do the apes know that they know something or do they simply know how to do something? Can they evolve their understanding? More importantly, can they choose to evolve in a different direction and do something completely different, like leave the herd? A chess computer can beat the greatest grandmasters, but it has no knowledge of what it’s doing. It’s a mechanical process of brute force calculations. It will never reflect on its situation and suddenly decide to play Go instead. It may get better with software upgrades and hardware, but it will never know that it knows. Most people on the planet at any given time in history function at this computer like level. They run around, hunt for food and shelter, fight, make war, worship, start families, have pets and children, live, die but very few of them ever stop to ask the question; why? Why am I doing this? Do I need to keep doing this? Is there a different way? Why is it even important to have a family or a dog or to worship this God? The reason is simple: they don’t even know they can. People are programs. And they can’t see beyond those programs. They don’t even know that they are programs. They just function, create drama, buy things, eat, consume. In other words, they’re very advanced computers, whose programmers designed them to acquire things, fight, screw, kill and love, but they do so with no understanding. The Sims can do all of this in their simulated world, but we’d never describe them as self-aware. The other reason they don’t is fear. Fear defines most of our actions on this planet. It traces our lives with its clawed fingers. There’s a reason that some of the first people dictatorships look to kill off or “purge” are the intellectuals, people who question and expose the truth. ISIS, the Islamic State of Syria and Iraq, just declared that children shouldn’t learn math or social studies. All you can say about ISIS is that they’re people who are divorced from their purpose. This is an extreme example of what lack of self-awareness does to a person. In their own minds, they believe God wants them to live this Spartan life, that the entity that created this magnificent universe only wants us to partake of a tiny, gray sliver of it, devoid of free choice and color. They believe they do His will and yet the true reasons they do what they do are much more basic. What they’re really trying to do is cut off any path to self-awareness, any path that leads to questions about their legitimacy, anything that would make them turn inwards and realize that they are nothing but ants driven to attack other colonies, because they believe in a brutal version of God that doesn’t really exist except in their own minds. In other words, they can’t look at themselves and assess themselves honestly and so they become destroyers instead of creators. Dictatorships come to power through the systematic destruction of individuality and self-awareness, using brute force strategy and tactics to try and make everything uniform. They often succeed for a time, devastating millions of lives, all because they could not wake up and see the mote in their own eye. That quote from the good book is above all, about self-awareness. Seeing the flaws in others but not yourself is the height of human delusion and so often delusion drives us. You’re driven by delusion as well, a whole mess of ugly delusions whether you know it or not. We all are. We want nothing more than to go to sleep, to have no responsibility for our actions, to stay stuck right where we are, anything but look hard at ourselves and admit we’re weak and flawed and vulnerable. It’s hard to look inside and realize you’re socially awkward, not very funny, can’t jump very high and that you may never get rich. Looking inside involves finding all the things you’re no good at and why. Delusion involves lashing out and trying to force the world to conform. You might think you’re beyond this, but I encourage you to look closer. Our programmers are tricky. Their code is so subtle that you can think you understand why, only to find that your reasons are just another layer of your programming that traps you and keeps you moving like an ant tracking a scent. For instance, a person might feel that life is at its core suffering and look back on abuse from family or loved ones and cite that as the reason. A man who took “whuppings” as a child “thinks” it’s perfectly fine to do the same to his children. I put thinking in quotations because all we’re really seeing in that case is a variable cited as a reason. Boy was abused, grows up and abuses. This is nothing but an if-then statement. At no point did he wake up and say, but is the world really a wicked place? Do I need to hit people? Do I need to fight? Is this just how it always is? Is there any way out? The only way to describe true self-awareness is when a person wakes up. They stop suddenly. They question everything. Do I have to do this? Why did my father do things this way? Do I even care? Do I want to be the way he was or my own man? Why does anyone do it this way and how do I stop it? It’s questions that start you down the path to the true understanding necessary to transcend everyday existence. Questions followed by a willingness to follow the answers wherever they may lead. People are afraid and so they aren’t willing to follow these questions because they sometimes lead to a scary place. What would you do if you figured out that you were in the wrong career, married to the wrong person and living with children that you never really wanted? If you were like most people, you’d give up. You’d see yourself as a bad person. You’d see fixing that situation as something impossible or wrong and stop asking why it’s wrong. Or you may go a little deeper but declare your desires selfish and go right on back to sleep, sleep walking to your job, through your life and accepting something less than you deserve until one day a heart attack or a bus driver takes your life and you realize in your final instant that you have no more time to change. The path of self-awareness requires mental toughness and the ability to keep going no matter what. It involves looking into the abyss and fighting through it. You have to go further, always further. You have to ask the hard questions and then do something about it. Further is the key word here. Self-awareness is not a final state that you arrive at; it’s a moving target. 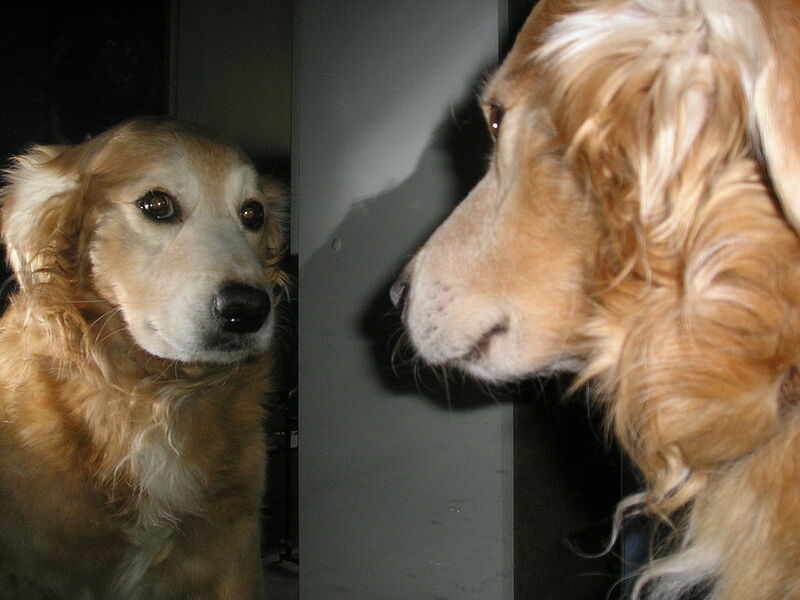 You may find that you understood your life only to wake up another day and realize you’ve deluded yourself for years and now you have another year of painful self-reflection. Or you may get things right for a time only to slip and find you need another round of self-examination to get yourself free again. As a writer you have to ask and answer the question: Why do I want to write? What’s the point of writing? Does it matter if I’m successful? Would I keep doing it anyway? Do I have something to say or do I just want fame and fortune? Everyone wants both of those things, whether they admit it or not. Whatever your answer is it includes all kinds of reasons, many of them in conflict. Self-awareness implies a willingness to accept contradictions. It’s not just about finding noble reasons to do something, it’s about understanding your less than noble and outright diabolical tendencies as well and coming to terms with them, using them even. When you focus on your craft you have to ask tough questions. Is what people are saying about my work true? Am I in denial? Am I good at plot, but not at characters? Is that a permanent condition? Too often the answer to that question is yes, when in reality it’s no. You can study, get better, hone your skill. You can play to your strengths but shore up your weaknesses through dedication and commitment to a lifetime of learning. You can learn the mechanics of your craft through books and seminars, coupled with practice. Keep looking hard at everything you do. Read your work like someone else wrote it. Would you still buy it? What would you fix? How? What you can’t learn from books is self-understanding. It does not come from books, teachers, religion, politicians, nation-states, TV, films, video-games, your friends and family. It comes only from inside, from reflection. You can do this a number of ways such as prayer, meditation, journaling answers to the question “who am I?” or long walks alone. The key to all of them is alone. This is not a group exercise. It’s not a weekend retreat. Forget going to some couples meditation or reading a book on the best way to do it. The best way to do it is the simplest. You don’t need chants or special music or an “enlightened” leader to guide you on the path to self-discovery. You just sit by yourself and stay quiet for as long as you can stand. You find answers by asking yourself hard questions and listening to the response inwardly. This takes patience and time. Your mind is peppered with all kinds of false reasons, that make a lot of sense but simply serve to keep you right where you are right now. Your mind fears change. It fears questions. It fears the death of what you believe. The path of self-discovery is littered with cherished belief systems that no longer matter. It’s a process of peeling away all that is not you. You’ll find no shortage of gurus, teachers, self-help books that purport to give you the answers. They’re the most dangerous kind of people, because they believe wholeheartedly that they’ve found it and can share it with you. But it’s not true. Nobody can share their understanding. They can share the product of that understanding and at their best they can inspire you to do similar internal work but they can’t share their inner understanding. What we’re meant to learn in this short, crazy life is something that’s written special for each of us, something we can’t communicate directly to others once we find it. We can only talk around it and reflect its light to the world. Each of us was created with unique software designed to fulfill a single purpose and self-awareness is discovering and embracing that purpose. I don’t write this book because I can give you my understanding. I hope that I don’t contribute to the literature of delusion. If you want to go to sleep, there are whole bookshelves of it. You’ll find many of them in the self-help section. You can learn visualization, do some magical thinking, meditate while breaking into yoga poses, chat in strange languages while standing on one finger, but you won’t get any closer to understanding who you are until you discard all that and see it for what it is: another layer of delusion, another layer of Maya, crafted by well meaning people who are still soundly asleep. What I want is to wake you up, to set you on a new path, one that may require a radical change. I don’t want anyone to read this and think they’ve figured it all out, only to realize later it was complete nonsense. That’s why I say kill reliance on external sources including me. The best gurus are nothing more than a finger pointing to the moon. But you have to go there. No one can do it for you and reading about it is never, ever the same as doing it. Self-awareness requires taking those long walks, crying to yourself, laughing like a lunatic when you discover something meant only for you at this precise moment in the never-ending symphony of life. Wake up and realize that the powerful play goes on and you may contribute a verse. Will you? Or will your verse get written for you?